Research indicates that there are in excess of 300 pollutants in an average office environment that can be removed by a single plant located every 10 square yards. 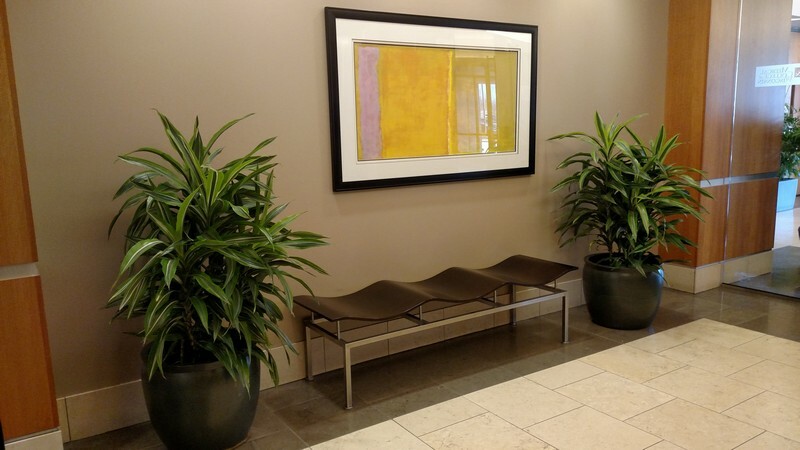 As an owner-operated interior landscaping and plant design business that encompasses the best of horticultural science, we are able to blend a variety of plants with creative plantscapes and designs that are truly a work of art and greatly improve the workplace environment by displacing toxins with replenished air from the plants. Call us and leave the science and transformation of your workplace environment to our friendly horticultural team! Our experience in interior landscaping design has taken us from small sitting areas to extravagant open spaces with the purpose of creating a natural visual appeal and healthy environment by choosing plants that best fit your space. As plant specialists we share a passion for plants and flowers, and their elegant presentation that accentuates and softens interior spaces with creative plantscapes. By definition, the term “plantscapes” describes the placement of plants in a structured, artistic arrangement. We take great pride in selecting the perfect plants for your environment that add to the beauty of your interior landscape. 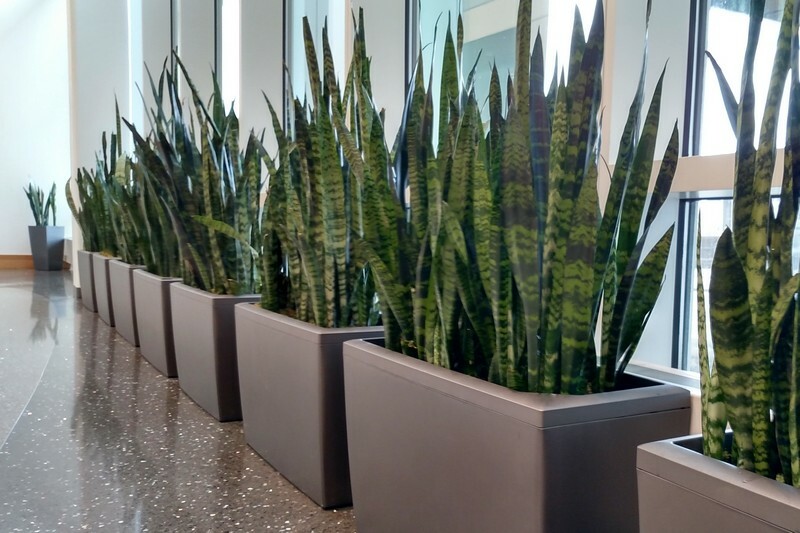 With our broad variety of plants, decorative containers and creative plant design concepts, we can customize a beautiful, healthy and affordable interior plantscaping that will add stunning color and vitality to your work environment. Call us today to discuss your needs and design ideas. 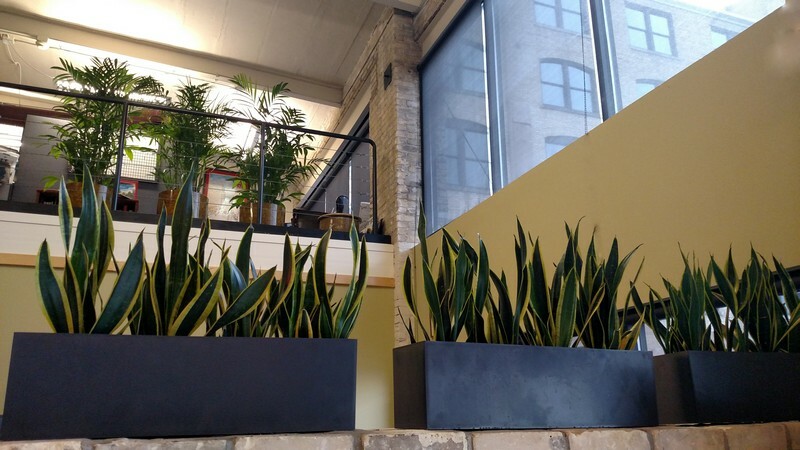 Why Choose Us To Provide Professional Plantscapes For Your Business? We have built a strong reputation in the area through our knowledgeable design service and broad range of interior landscaping options. Our goal is to enhance your professional corporate image with the best plant design service offered.